The qTOWER's light fibers and an 8-position optical detection shuttle offer numerous advantages. 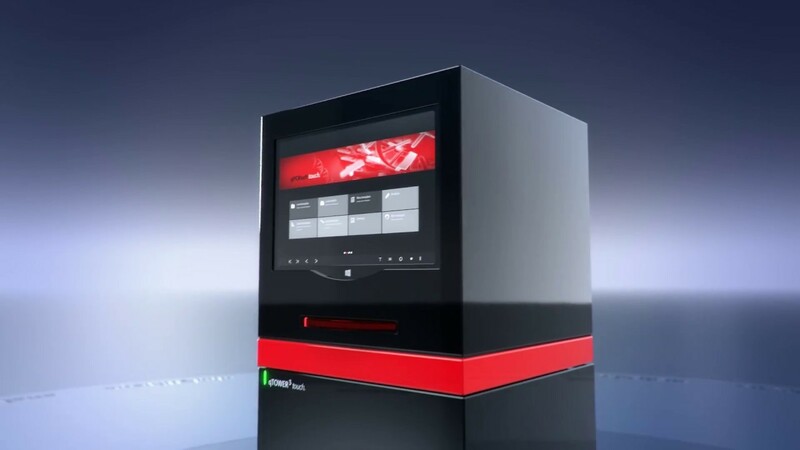 Scan times are minimized to only 6 seconds regardless of the number of measured dyes. The single detection of each well eliminates the need for a passive reference as edge effects are completely eliminated. The heart of the patented highly sensitive fiber optics is the unique light source: 4 high-power LEDs optimally excite every fluorescent dye in each individual well without any lamp warmup time. Selecting the right excitation and readout wavelengths is facilitated by a variety of filter modules. The module wheel can be equipped with up to six different color, FRET or protein modules which are exchangeable within minutes making qTOWER3 easily adaptable for future applications. The high-grade silver sample block provides outstanding temperature uniformity across all 96 wells. Ramping rates are adjustable up to an amazing 8 degrees per second, underlining the performance of this state-of-the-art thermal cycler. With the Linear Gradient Tool you can set a stepwise increase in temperatures across 12 columns in a range of up to 40 degrees Celsius. This enable fast optimization of QPCR cycling conditions and eliminates guesswork. The highly sensitive detector is maintenance free and requires no periodic calibration. Westburg offers an industry-leading 10-year warranty on all high performance optical system components providing peace of mind for years to come.